Island Slope Enhancement (ISE) has focused on obtaining specialized equipment for specific capabilities. 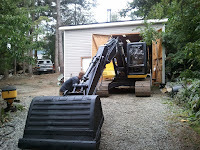 We use the right equipment to complete the job efficiently and cost effectively. 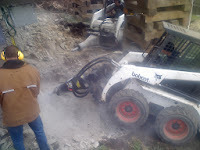 Not only are our rates better than most, we work the equipment as hard as they were designed to so we tend to be much quicker in getting things done. John Deere 490D - our largest excavator used for land clearing, foundtion preparation, stump and tree removal, and anything you can think of we are probably willing to do. 435 bobcat excavator- due to the demand on our 341 excavator the 435 was added to our fleet and is similar in power and with its zero tail swing can access even more confined areas. - amazingly strong, quick and versatile work horses that can handle endless hours of intense hard work. With either the toothed bucket or smooth edged bucket or all the different attachments available there isn’t much these machines can’t do. from hauling equipment to all the materials we supply this unit has shown to be effective and can access areas larger trucks and their higher rates can't. 2 x heavy duty trucks. These vehicles are used for hauling some of our smaller equipment and also great for transporting supplies commonly used at certain jobs. 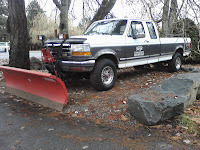 We also outfit these trucks with plows during the winter. 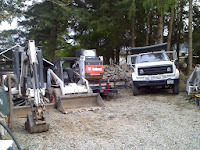 Various small pieces of equipment- we have rock breakers, cutoff saws, chain saws, jack hammers, skid steer tracks and so much more to get the jobs done right. 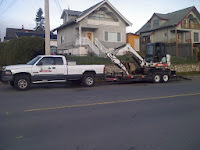 Trailers- using heavy equipment trailers to haul the equipment they can also be used to haul many other heavy objects. We also have a travel trailer for jobs that don’t allow us to travel home in the evenings. We are after all Island slope enhancement.